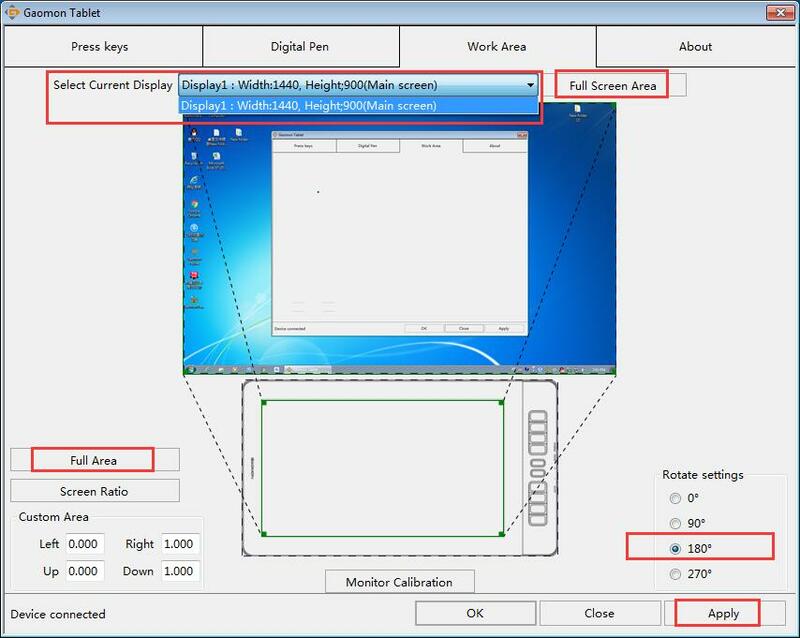 This article focuses on how to set the left-handed mode of PD1560 when using Projector only mode (only use PD1560 and keep the computer monitor in sleep) of Windows system. Duplicate mode is not recommended for left-handed users. 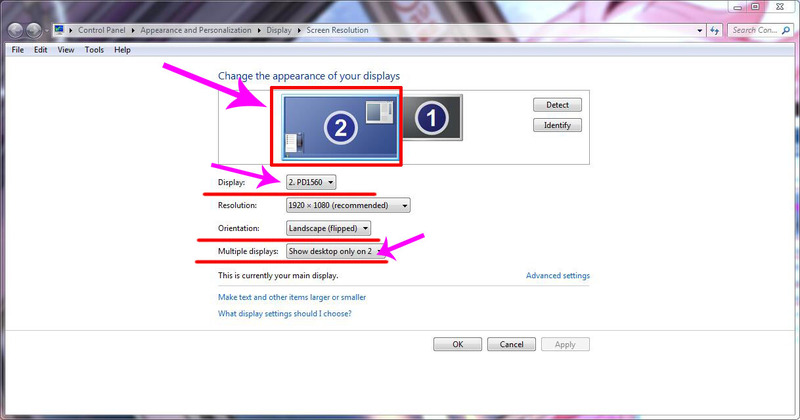 Because after set Orientation of Windows system as landscape (flipped), the desktop of the computer monitor will go upside down. Wrongly setting left-handed mode of PD1560 will cause the cursor being offset or not going along with the stylus nib. Therefore, please follow below instructions to set left-handed mode correctly. 2) to set ‘Rotate’ as ‘180°’ in GAOMON driver. Open GAOMON driver interface, and check the connection status in the left lower corner. If the driver interface showed ‘Device disconnected’ please go to get solutions from How to Fix the ‘Device Disconnected’ of PD1560? If it was ‘Device connected’, do the following steps. Enter ‘Projector only’ mode and set the display of PD1560 flipped. Below is an after-set screenshot for your reference. 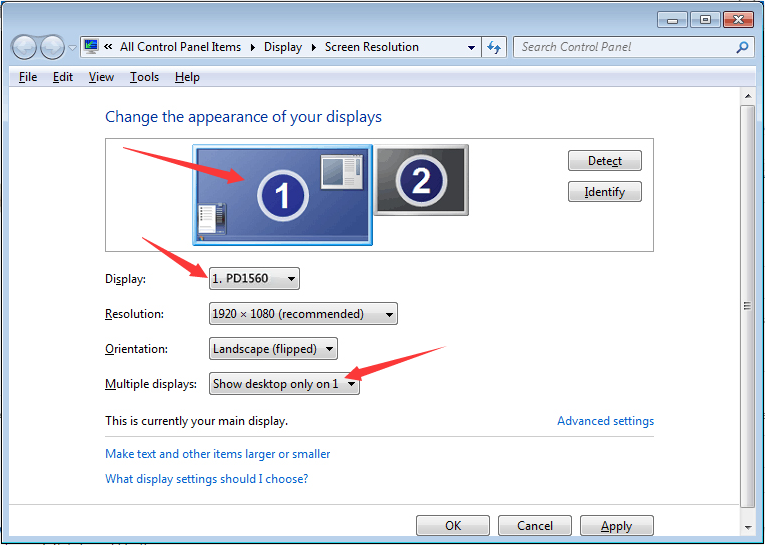 Display menu: there are two options and select the one named with ‘PD1560’ to make sure below changes (point 2 and 3) be on PD1560 not on the computer monitor. Because figure ‘2’ appears before ‘PD1560’ in ‘Display’ menu, all of the three ‘2’ in this interface will represent PD1560. If it was figure ‘1’ before ‘PD1560’, all ‘1’ there will represent PD1560. This menu is to enter one display mode of the four modes (Extend mode, Duplicate mode, Projector only, Computer only). To use ‘Projector only’ mode means to show desktop only on PD1560 and make the computer monitor be sleep. And because figure ‘2’ in this interface represents PD1560 (we get it from Display menu). Thus we should select ‘Show desktop only on 2’. 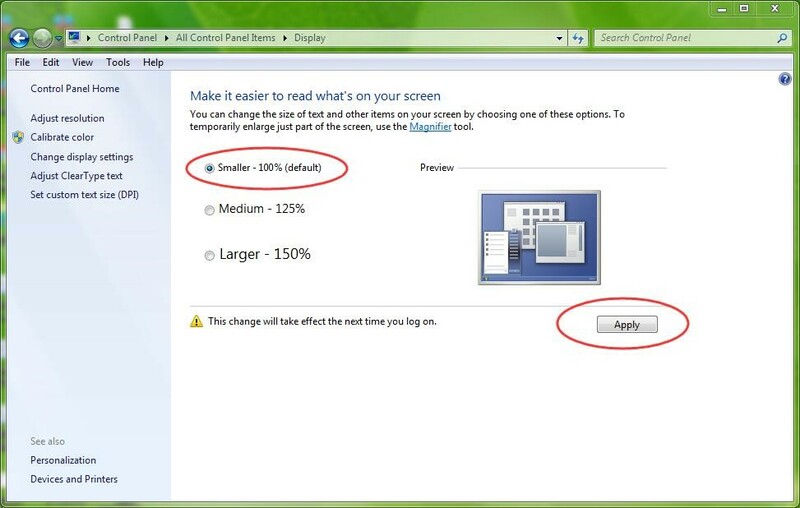 PS: if the figure before PD1560 is ‘1’ in ‘Display’ menu, then there should select ‘Show desktop only on 1’. Orientation menu: Select ‘Landscape (flipped)‘ to make the desktop of PD1560 be upside down. And then click ‘Apply’ and ‘keep changes’ to save changes. Please turn PD1560 for 180° to make Express Keys at the right-hand side. 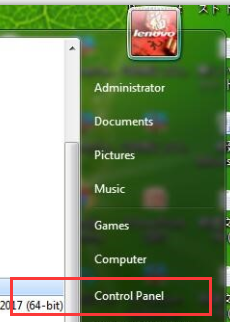 Open the GAOMON driver interface and click ‘Work Area’ from the top title menu. In Projector only mode, there is only one option: Display 1 in the menu of ‘Select Current Display’. Now you can use PD1560 under left-handed mode. Enjoy it! Any questions or suggestions. Please feel free to tell us. You can submit your issue from here: GAOMON SUPPORT TEAM. How to Set Left-handed Mode of PD1560 in Mac OS? Okay, stupid question. How do I open the Gaomon Driver Interface? Hi Brennan, thanks for your message. My colleague will contact you to help you later via an email. Please check your inbox.